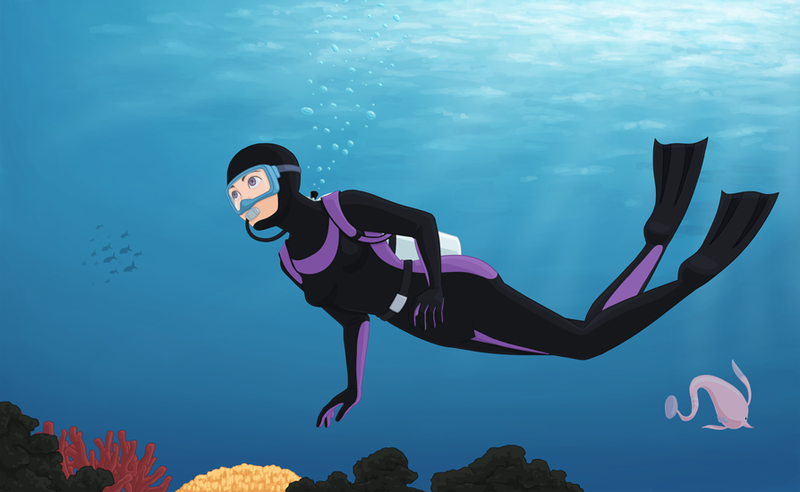 Here are some great tips to help improve your scuba diving experience under water. These tips will help you get the most out of your dive and will give you the best chance of having a fun, safe scuba experience. Learn to dive like a pro and if you have your own scuba gear that is great! Always be sure to wear some type of underwater protection like a wetsuit. this helps you keep warm while in the ocean and can really help you save air. it can also protect you against sharp rocks while on your dive. slowing down your movement while scuba diving really helps to save air consumption and improve the length of your dive. this will keep your cardio down and reduce the need to breathe deeply. Imagine you’re a Tyrannosaurus rex, tiny little arms. Waving your arms and hands around burns incremental air, with little or no impact on your position. Keeping your hands in at all times is a good way to protect the underwater environment and save air at the same time. 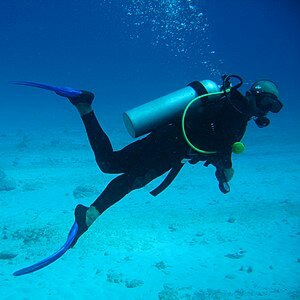 trimming up your scuba gear set will allow you to move through the water far more efficiently and reduce drag. this is one of the benefits of owning your own scuba gear like BCD, Dive mask, fins and dive computer. having control over your own gear makes managing it super easy. Try using time as a guide. Inhale over a five- to seven-second period, and breathe out over a six- to eight-second period. As a slower rate becomes more natural, you’ll no longer need to count and you will fall into this state naturally while diving. Pausing at the top of our inhalation cycle — instead of at the bottom, as we do on land — allows our bodies to absorb a bit more oxygen from the air in our lungs. Practice in a swimming pool to get it down pat. this is a great way to save air but never hold your breath. Try this: Hold your tongue against the roof of your mouth and breathe around the sides of your tongue. This organically created restriction will force you to breathe in more slowly and help save air while your under the sea. As with any sport, performance improvements come with practice. A scuba diver should always keep their skills sharp and ready for any trip to exotic locations to snorkel or dive at the first chance that arrives.